Spamdex- the spam archive | When did you last update CORPXAIR details? Do you want an effective online presence fast? CORPXAIR is currently listed on The Mirror Business Directory, however important information is missing from your profile. People searching for businesses like yours are unlikely to visit an incomplete profile, which results in you losing potential customers. By claiming your business you can add more information and have the ability to update your profile 24/7. 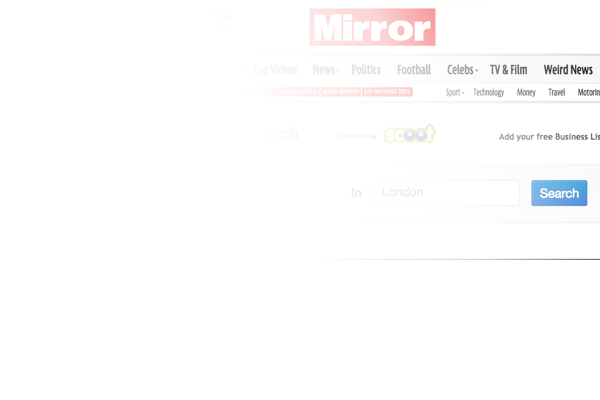 If you prefer not to receive any further emails from The Mirror, please unsubscribe. The Mirror Business Directory is part of The Scoot Network. Scoot is a Web.com Group, Inc. Brand. Scoot is a registered trademark of Enable Media Limited, incorporated in England and Wales, Registration number 5178759, with its registered office at 16th Floor, 89 Albert Embankment, London SE1 7TP.